There’s something about birds in books that literally makes my heart sing, whether it be the pleasurable sense of freedom they so naturally possess, or their resourceful grit and determination, or their cheeky personalities that are just so loveable, or all of the above. Here I share some astounding picture books that soar with beguiling and triumphant goodness. 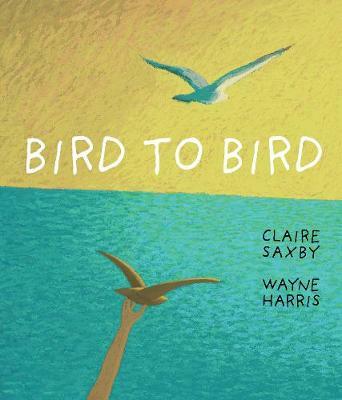 Bird to Bird, Claire Saxby (text), Wayne Harris (illus. ), Black Dog Walker Books, March 2018. “The story of one bird, one seed, one tree.” We follow this enlightening path as a bird inadvertently helps to create a sapling with the drop of a seed, and that older, fallen tree thus serves many a use, finally being carved into the shape of a bird for a little boy to treasure forevermore. A gorgeous collaboration between author and illustrator brings life to life in this tale of the journey of one tree. With an essence of Bob Graham’s perceptual and consequential nature, Claire Saxby writes her circular narrative with a similar gentle, poetic style and light repetition. Wayne Harris’ illustrations carry the story forward in a flawless sequence of artistic beauty, combining texture, movement, light and vivid colour with every page turn. Never feeling a dull moment, the story sets intrigue whilst subtly weaving important discussion themes around timber harvesting, usage and recycling, convicts, wool looms, and wood carving. It also acknowledges historical changes through time without ever losing focus on the tree and its transformations. Bird to Bird; a beautiful, thoughtful tale for primary-aged children, reflecting the value of nature, sustainability and art. 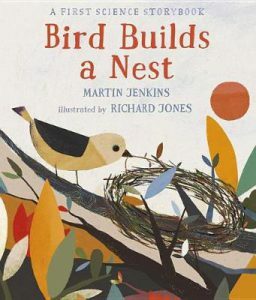 Bird Builds a Nest: A Science Storybook about Forces, Martin Jenkins (author), Richard Jones (illus. ), Walker Books, March 2018. Explaining science to preschoolers is not always easy, or fun. But here in Bird Builds a Nest, nonfiction expert Martin Jenkins (Fox in the Night and The Squirrels’ Busy Year) writes a fascinating and entertaining account of a bird experimenting with forces and the concept of pushing and pulling. The book is written with easy-to-follow dual narrative, one of Bird’s story building her nest, the other of smaller print, factual text describing each concept in simple terms. Bird’s first mission as she awakes is to acquire her morning meal. By applying a force towards her, Bird attempts to ‘pull’ a big, strong worm from its tunnel. Her hunt for twigs is not always straightforward; she hasn’t got enough force to ‘lift’ the weight of the larger sticks. With trial and error, fetching and carrying, pushing and pulling, Bird manages to find suitable materials to successfully build her nest. The illustrations by Richard Jones are both playful and artful with their mixed-media and mixed-technique sharp, contemporary style and modern colours. Bird Builds a Nest is a witty, clever and sweet approach to the science in nature and the everyday forces used all around us. This one will ‘pull’ little ones in, for sure! 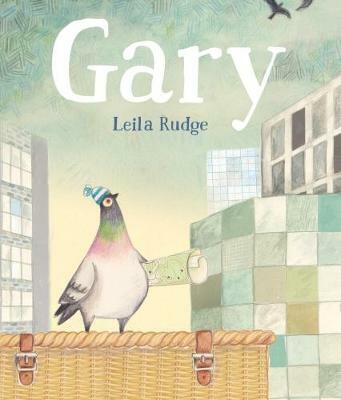 Gary, Leila Rudge (author, illus. ), Walker Books, PB, November 2017. 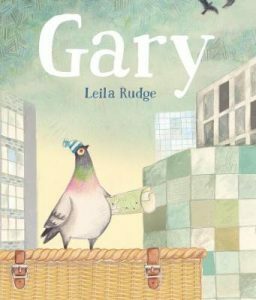 Originally published in 2016, Gary by Leila Rudge returns with his own paperback edition. This story, awarded Honour Book in The Children’s Book Council of the Year Awards 2017, never gets tired, no matter how many outings or roads it travels. We still love this tale of a passionate racing pigeon (with a difference) driving this adventure story home with his boundless grit and determination. Recounts from the other pigeons’ expeditions, and his scrapbook collection of mementos, give Gary a sense of place in the world despite only knowing his own backyard. Then one day he mistakingly falls into a travel basket and is taken a long way from home. But how could Gary feel lost when he had already studied the city from back to front? How will he find his way back to the loft? Gary’s adventure concludes with a little ingenuity and a whole lot of inspiration. Rudge’s sensitive and dynamic narrative beautifully marries with her character’s accepting yet curious personality. Her illustrations are equally as charismatic and layered with their warming tones, mixed collage and pencil drawings of maps, souvenirs and adorable racing pigeon outfits! Gary is a sweet, charming story of passion and opportunity, challenging one’s own abilities and never giving up on one’s dreams. Children from age four will be dreaming to accompany Gary on his adventures time and time again. When non-fiction texts are presented in the most visually and perceptively- arousing ways that leave the mundane behind and turn into a curious adventure of the wild variety. That’s what these following graphic information books about nature’s amazing creatures do to nurture and sharpen our hearts and minds. 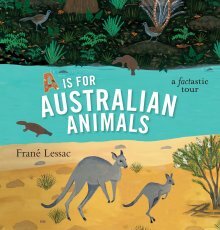 A is for Australian Animals, Frané Lessac (author, illus. ), Walker Books, August 2017. Internationally renown for her striking illustrations is USA-born, Frané Lessac, artist to books including Pattan’s Pumpkin (by Chitra Soundar), Simpson and his Donkey, Ned Kelly and the Green Sash, and Midnight (all by Mark Greenwood). Her remarkable A is for Australia (review) precedes this stunning addition; the factastic tour, A is for Australian Animals. A necessary introduction neatly begins the book at ‘A’; a map of Australia surrounded by general facts about the unique qualities of our native fauna. What’s to follow is a detailed alphabetic collection of fascinating facts and characteristics all the way through to ‘Z’. With one or two animals featured on each double page spread, this resource is a compendium of colour and life. 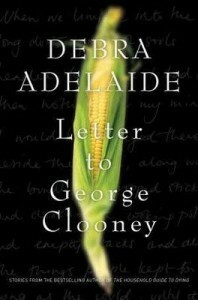 Each page is divided with large, bold headers and accompanied by smaller font paragraphs interwoven between the pictures. Beautiful, vibrant earthy tones in a production of silky gouache and etched naive-style paintings capture the eclectic mix of wildlife characters in their surroundings. Equipped with animal distribution maps in the index and enough mind-blowing information to forge the most knowledgable animal experts, A is for Australian Animals is a highly valuable and engaging learning tool for students in primary school. I am now a fan of the long-necked, mosquito-devouring oblong turtle! 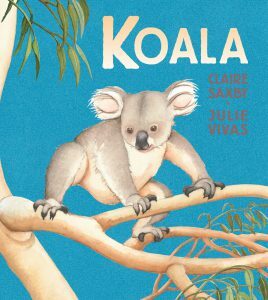 Koala, Claire Saxby (author), Julie Vivas (illus. ), Walker Books, August 2017. One particular favourite is the native Aussie fluffball- the koala. 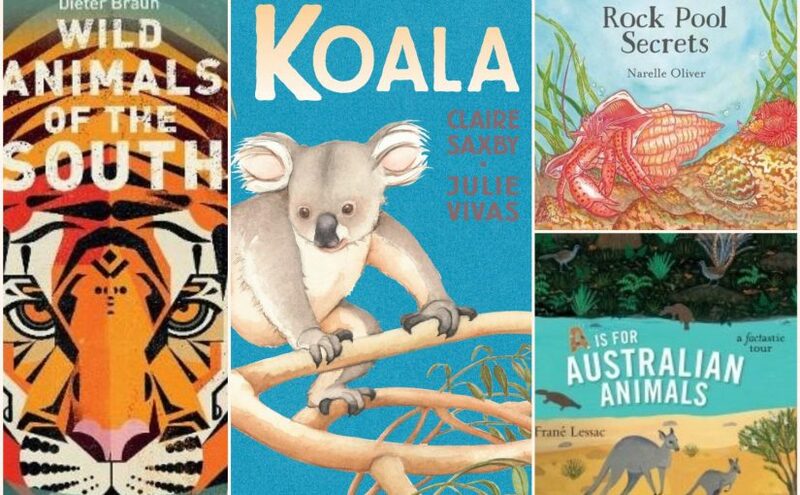 With other best-selling Australian animal themed books by award-winning non-fiction author Claire Saxby, including Emu and Big Red Kangaroo (review), here is a gripping exploration of the symbolic Koala. Written in both a story tale and informative format, and masterfully illustrated by the legendary Julie Vivas (Possum Magic), Koala’s journey begins high in a tree fork with his nurturing mother. But he is old enough to look after himself now, and being challenged by another male sees little Koala lost in search for another home. Factually, males fight in their need for a mate between late spring and the end of summer. Navigating his way around the bushland and avoiding dangers like predators and human deforestation, Koala eventually finds his own tree where he is safe and independently sufficient. Here is a book that is so beautifully descriptive, with sensational watercolour scenes you could hang on your wall. Koala enforces enough compassion to reinforce proactive pledges for wildlife sustainability, but is also simply a pleasurable and captivating read for its primary school aged readers. Rock Pool Secrets, Narelle Oliver (author, illus. ), Walker Books, April 2017. With her final contribution to the children’s literature world, the superlative Narelle Oliver leaves a lasting testament of her undeniable passion for the creatures of our world and her abundance of talent. Oliver has blessed us with numerous award-winning treasures, like Baby Bilby, where do you sleep?, The Best Beak in Boonaroo Bay, Sand Swimmers, and this last one; Rock Pool Secrets. A scrupulously crafted linocut print, etch and watercolour portfolio of art make up this glorious exploration into the shallows of the pools. Each spread contains secrets nestled in and amongst the exhibition of line, shape, colour and texture. Cleverly integrated lift-the-flaps intersect between what is hiding and its unveiling. 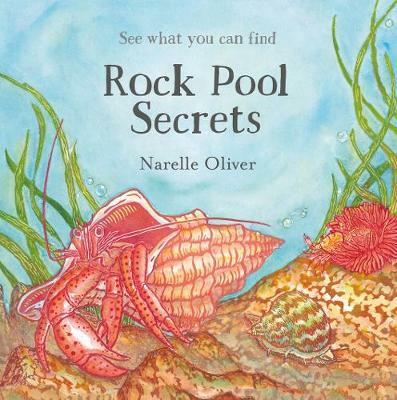 Whether it’s bubble-coloured shrimp tangled in seaweed, rock-fronting, ‘bumpy’ starfish, octopuses in ink clouds, or turban sea snails sealed in their shells with ‘lids called cat’s eyes’, there’s plenty to peruse and discover in this satisfyingly magical, concealed realm of the rock pool. Beautifully descriptive turns and phrases add more depth and interest to the stunning visuals that facilitate factual knowledge about this richly diverse world of sea organisms. Huge amounts of detail to be learned about some of the smallest and most fascinating creatures! Children from four will absolutely delight in the Rock Pool Secrets search, but it will be no secret how much they love it! Wild Animals of the South, Dieter Braun (author, illus. ), Walker Books, June 2017. First edition by Flying Eye Books, London. German author-illustrator, Dieter Braun, presents a spectacular array of animals from the southern hemisphere in this delectably gorgeous encyclopaedia-style graphic volume. 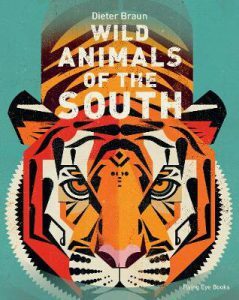 Wild Animals of the South is the sequel to Wild Animals of the North. A powerfully persuasive introduction leads the opening with a dedication to the wonderfully colourful, diverse, rich and rare wildlife that lives within these pages. Unfortunately, many will, and have already disappeared. What would the world be like without the power and beauty of these creatures in the animal kingdom? Despite their unique differences, their individual ways of living, it is with such importance that we take cognisance; “their will to live and their freedom” is what ties them together. The book is divided into five regions; Africa, South America, Asia, Australia and Antarctica. Fun, fascinating and witty facts of various animals are explained in short paragraphs (just the right amount to prevent brain-overload! ), along with its common and more scientific name, and striking, crisp and textured prints that fill the large-face pages. Meet majestic lions, impressive giraffes and even the unceremonious mantis in Africa, the glowing toucan and lazy sloths in South America, and zesty crocs, powerful kangaroos and our cuddly wombats in Australia, plus so much more! There are 140 pages, including a pictorial index of each animal in their region, of breathtaking images and banks of useful, modest and age-appropriate information to add to your brain trust. Wild Animals of the South is a must-have resource for any home or school bookshelf. Okay, it’s only a couple more sleeps until December, which means we’re dipping into dangerous waters now. Christmas wish lists should be full and those letters to Santa should be in the post – pronto! If you are after a new Christmassy picture book to line your stockings with, try some of these fun ones on for size. 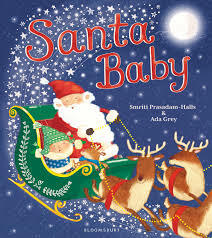 Santa Baby by Smriti Prasadam-Halls and Ada Grey promises to be the ‘most magical Christmas picture book of the year’ and it does have a touch of special about it. Reminiscent of the movie Arthur Christmas and the evergreen, The Night Before Christmas, Santa Baby tells the quest of Santa’s small progeny and his best mate, Roo who are upsettingly too young to accompany Dad on his worldwide mission on Christmas Eve. Grounded and miserable the two friends discover two abandoned presents and set out on a mercy mission to deliver the gifts themselves. In spite of several distractions, they almost reach their target when they recklessly decide to undertake a ‘midnight loop-the-loop’, a sleighing manoeuvre hitherto only attempted by accomplished flyers, read Santa Claus. Their execution is, as you guessed, less than successful but just as it is all about to end in tears, Santa scoots up and rescues the rescuers. Santa Baby then realises that being Father Christmas is not as easy as sucking on a candy cane and that the two remaining presen ts were actually for him and Roo and hold the answers to their dreams come true. The child-friendly verse and super cute real knitted beanies and scarves illustrator Ada Grey dresses Santa Baby and Roo in adds to this merry feel-good story about the merit of patience and persistence. Magic for under-fives. Swapping snowballs for sand dunes, head to Christmas at Grandma’s Beach House by the winning picture book team of Claire Saxby and Janine Dawson. Following their 2013 release of Christmas on Grandad’s Farm (reviewed here), this gorgeous new Christmas holiday expose adopts the tune of the Twelve Days of Christmas carol and is bursting with more Aussie flavour than a kangaroo sausage on a hot barbie. This sing-a-long picture book will have you counting down the days to your next seaside escape and fruit mince pie. 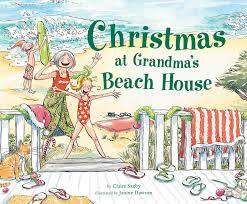 From the very first page Dawson’s illustrations, plunge us into the briny seaside environment of Grandma’s beach house. Nearly all of us must have some childhood memory of visiting such a relative’s place; I do, right down to the ‘holiday’ tree jammed in the corner, seagrass matting, and shell mobile! Saxby guides us through family introductions and new friendships with the days of Christmas countdown as we picnic on the beach, body surf and frolic under a very Aussie sun. Grandma’s beachside locale is soon swelling with a radiant assortment of kids and buzzy holidaymakers. Chock-a-block with thongs, seagulls and sunhats, it doesn’t get any more Aussie or better than this. High on my list of sing-a-long picture books to jingle my bells to because I love a good excuse to belt out a carol, even if I don’t need a reason. 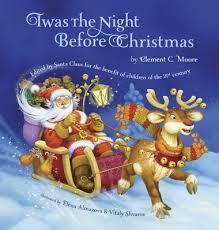 Don’t go far, there’s a couple more hot-off Santa’s-press picture books on the way. Meantime, check out other titles for kids from the Boomerang Kids’ Reading Guide 2015 / 2016. January 26th marks the date in which Australians reflect upon our cultural history and celebrate the accomplishments since the first fleet landed on Sydney’s shores in 1788. 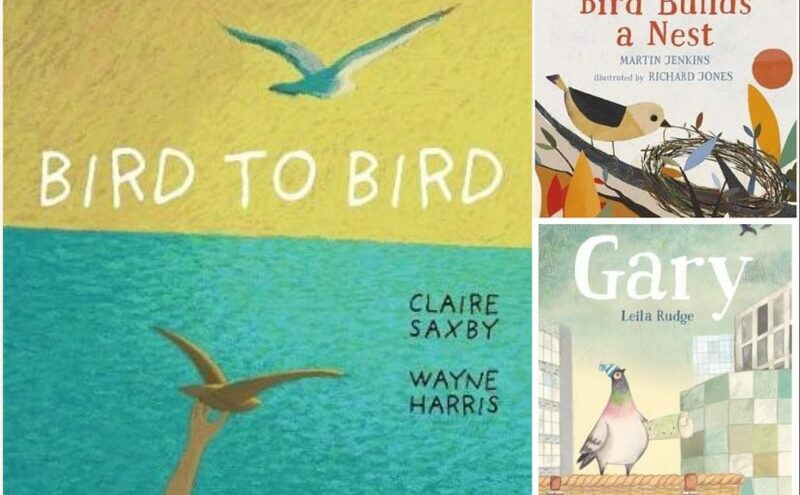 Here are a select few picture books aimed at providing children with some background knowledge of our beautiful land, flora, fauna and multicultural diversity. There is plenty of scope for teaching and learning opportunities under the Australian curriculum, and respectful inclusions of Aboriginal traditions. An Aussie Year; Twelve Months in the Life of Australian Kids, Tania McCartney (author), Tina Snerling (illus. ), EK Books, 2013. 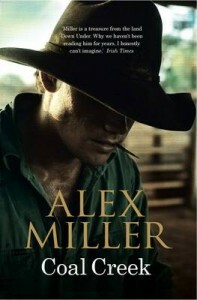 What a joyous celebration of all things Australiana, all encompassed in one gorgeous book; An Aussie Year. From January through to December, with every season in between, from Melbourne to Sydney’s City to Surf and the Great Barrier Reef, we get a taste of Australian life for five young individual children of different cultural backgrounds. Ned, Zoe, Lily, Kirra and Matilda provide us with snippets of their typical ethnic traditions, seasonal activities, food, terminology and special events that occur throughout the year. From icy poles, cricket, swimming and Australia Day in January, to back-to-school, Valentine’s Day and Chinese New Year in February. April brings Easter, Anzac Day and the Antipodes Festival, and creepy-crawlies and Mother’s Day breakfast are common occurrences in May. Tania McCartney’s Aussie culmination continues with plenty more fun and interesting experiences as told by the kids, beautifully capturing our wonderful multicultural nation. The pictures by Tina Snerling illustrate that diversity perfectly; they are colourful, creative, rich and varied in what they portray, and very sweet. 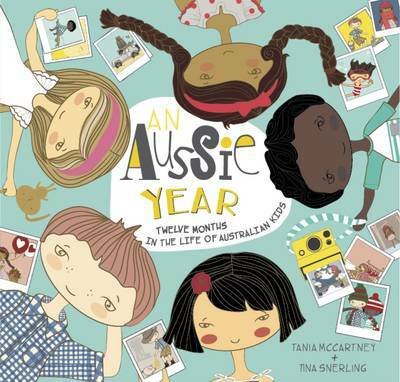 An Aussie Year is a wonderful learning resource for primary aged children, as well as an engaging and delightful book just to peruse and reflect upon for both young and old. 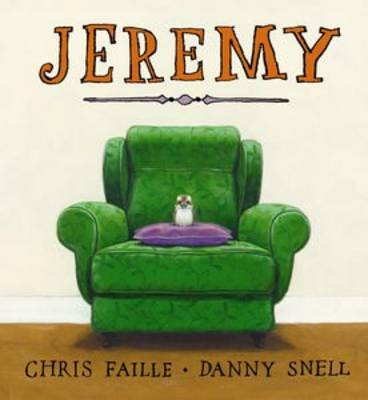 Jeremy, Chris Faille (author), Danny Snell (illus. ), Working Title Press, 2013. One of the wonderful elements of Australia is our exotic and amazing wildlife. The king of the bush is no exception. In ‘Jeremy’, a heartwarming story is brought to reality with the events of a growing baby kookaburra over the course of several weeks. Starting out as an ugly, featherless chick, Jeremy is brought in by the family cat and cared for by its loving family. Descriptive language allows the reader to learn his behavioural traits and aesthetic characteristics. As the story develops, we also become familiar with his personality; as an endearing and cheeky little bird, who loves to watch television and spy the goldfish for lunch. Stumbles and crashes are all part of learning to fly. But once established, a final kiss goodbye sees Jeremy reunited with his kookaburra family as they fly away into the sunset together. Based on a true story, ‘Jeremy’ is a beautifully written and engaging information story by author Chris Faille. Illustrator Danny Snell has provided equally soft and detailed acrylic paintings. Preschoolers will adore learning about the kookaburra’s development and fascinating facts, as seen in the endpapers, as well as showing them the need to care for defenceless creatures. Big Red Kangaroo, Claire Saxby (author), Graham Byrne (illus. ), Walker Books, 2013. Another native animal to Australia is the symbolic kangaroo, and in ‘Big Red Kangaroo’ by Claire Saxby (author of other Aussie themed books including Meet the Anzacs and Emu), the typical behaviours of these large marsupials is explored in both a storytale and informative format. ‘Red’ is surrounded by his mob, and at nightfall they bound off in search of grasses. Did you know that kangaroos sometimes regurgitate their food to help with digestion? The mob are met by other creatures looking for water in the middle of the dry season. But they cannot settle when other male kangaroos are nearby. Red is the male leader, but is soon challenged by another to take over his mob. A brief fight for dominance sees Red retain his role as king, and he takes his followers to the safe shelter amongst the trees. A compelling account, written with sophisticated, descriptive language, and enlightening charcoal and digital media illustrations to match. 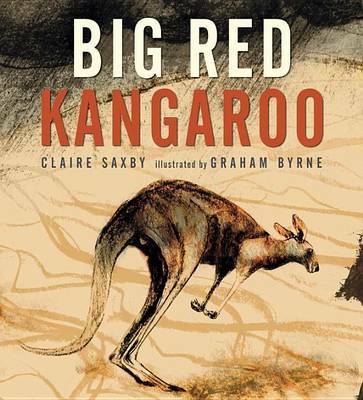 Equipped with an index and plenty of information, ‘Big Red Kangaroo’ is the perfect learning tool for primary school aged children. Calpepper’s Place, Trudie Trewin (author), Donna Gynell (illus. ), Windy Hollow Books, 2014. In ‘Calpepper’s Place’ we are taken on a journey with a range of Australian animals around our beautiful continent. It is an adorable story of acceptance, and trying new adventures. 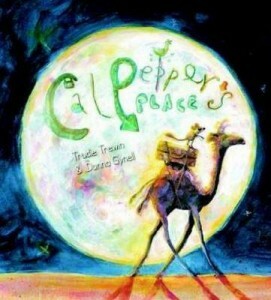 Calpepper is a camel who decides one day that trudging through the hot desert just isn’t exciting enough. He jumps aboard a bus named ‘Adventure Tours to the Unknown’, and in a trialing series of experiences, Calpepper discovers these places are not the places for him after all. Whooshing down chilly ski slopes, being trampled by an avalanche of shoes in the concrete jungle, and tumbling off a wave onto the beach shore are not camely sorts of places. Finally, a little ray of sunshine gives him the comfort he needed and he returns back to plod along with the camel train once again. A rhythmic story with fun, varied text and expressive language, gorgeously fluid and whimsical watercolour illustrations, make ‘Calpepper’s Place’ a truly engaging way to explore our scenic country and appreciate your own special place to call home. 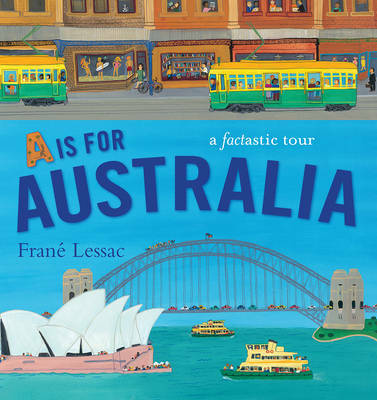 A is for Australia, Frané Lessac (author / illus. ), Walker Books, 2015. (See also Midnight and Ned Kelly and the Green Sash). Described as a ”factastic tour of Australia” and a ”celebration of Australian people, places and culture.” Exactly that, Frané Lessac’s ‘A is for Australia’ is a colourful, informative and truly engaging book visiting various locations around our amazing country. With each letter of the alphabet, we are introduced to many of Australia’s fascinating and iconic landmarks, covering every state and territory. From our beautiful beaches, to the dry outback, busy major cities and temperate rainforests, this book provides ample opportunity to get to know more about geographical places and the flora, fauna, people and structures that can be found there. Riveting facts accompany each location, including indigenous and cultural history. For example, the Sydney Opera House, designed by Danish architect Jorn Utzon, took 16 years to build and opened in 1973. There is plenty to experience with this bright, aesthetically pleasing and engrossing information book about our special continent. It is perfect for families to share (and create) their own memories and experiences, and for primary school children to utilise for their Australian studies. In Australia we’re in the midst of Summer, although here in Melbourne we’ve already had all four seasons in one, sometimes even in one day! A great way to familiarise children with all that the season encompasses is through engaging language experiences. That means providing children opportunities to see, do, touch, listen, read and think about different activities (going to outdoor places like the beach, pool, etc), and then talk, write and create about them. 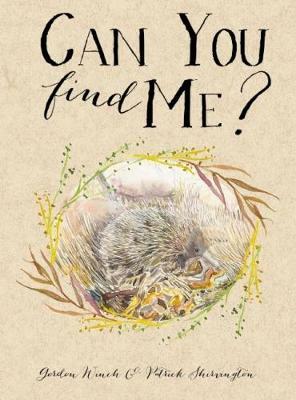 I’ll suggest a few fantastic picture books to get stuck into following your outdoor Summer adventures, as well as some fun learning tasks to enrich and reinforce what your child has discovered. 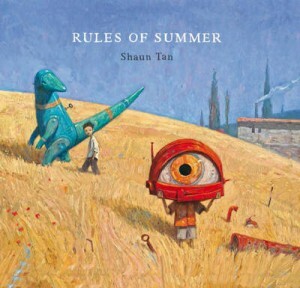 Rules of Summer, Shaun Tan (author / illustrator), Lothian, 2013. CBCA Winner 2014, Queensland Literary Awards Winner 2014. Wow. Just wow! Shaun Tan has brought a truly fantastical, mysterious and somewhat dark version of what Summer means to a pair of young brothers. Amazingly thought-provoking and surreal, with spectacular, Van-Gogh-like paintings, this book promotes analytical skills in deciphering its’ content; both the text and the images. Exploring the complicated relationship between the boys, each spread states a new rule to obide by. But failing to comply results in harsh consequences, particularly for the younger brother. In the end the pair join forces in an imaginatively delightful celebration of summer fruits and a beautiful sunset. And after all the emotion, conflict, darkness and out-of-this-world imagery, there’s still room for a little chuckle as seen in the endpaper. Suited to primary school aged children who will enjoy adding their own interpretation to the depth and meaning that Shaun Tan has conveyed. 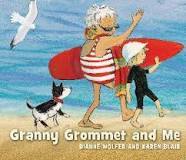 Granny Grommet and Me, Dianne Wolfer (author), Karen Blair (illustrator), Walker Books, 2013, CBCA Shortlist 2014. An enchanting book about a boy narrator who delights at the sea’s wonders, with his Granny and her elderly, grommet friends (a grommet is a young or beginner surfer). There is much humour in watching old ladies twisting, turning, zooming through dumpers and riding a curler wave to the shore! However, the boy feels nervous about what he doesn’t know, but Granny reassures and shows him safe and friendly things in the sea. Lovely, gentle text by Wolfer, from the perspective of a child, beach safety tips, and fun, colourful paint and pencil drawings by Blair, make Granny Grommet and Me an engaging and reassuring story to be read many times over. 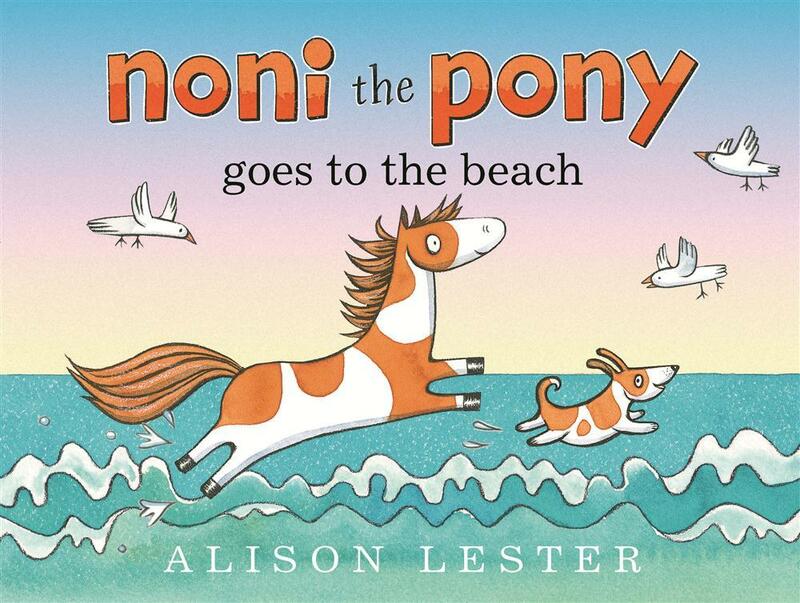 Noni the Pony Goes to the Beach, Alison Lester (author / illustrator), Allen & Unwin, 2014. Following the original Noni the Pony, the loveable pony is back and ready to set off to the beach with her companions; Coco the cat and Dave the dog. As far as cats go, Coco prefers to be nonchalant and stay dry. But like any typical energetic dog, Dave bounds off through the waves to find a whale, only to become stranded in the middle of the ocean. In her true heroic, caring manner, Noni is there to fish him out and return to the safety of the shore. 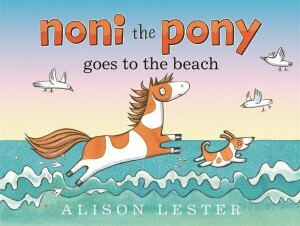 With Alison Lester’s characteristically gorgeous, endearing illustrations, and gentle, rhythmic wording, Noni the Pony Goes to the Beach is a fun, positive tale of friendship and all things magical about visiting the beach. 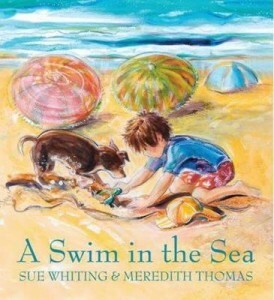 A Swim in the Sea, Sue Whiting (author), Meredith Thomas (illustrator), Walker Books, 2013. Speech Pathology Australia Winner 2014. A gorgeous story of an excitable young Bruno who can’t wait to experience the big blue sea for the first time. Wildly eager to dive right in, Bruno suddenly halters at the loud, thumping, pounding waves, which frighten him. As his family introduce him to other fun beach activities, like rockpools and sand cities, Bruno eventually discovers that the big blue sea is far from scary. Sue Whiting’s text is beautifully descriptive and engaging. I love the way she talks about the sea; ”wobbling like a sparkly blue jelly”. And Meredith Thomas’ illustrations are equally expressive, bold and moving with bright, complimentary colours that almost literally wash over the pages. A delightfully sunny story about first-time experiences at the beach, and facing one’s fears. Seadog, Claire Saxby (author), Tom Jellett (illustrator), Random House Australia, 2013. Speech Pathology Australia Winner 2013. With Jellett’s characteristically boisterous and comical illustrations, Seadog is a great read-aloud book perfect for little ones who enjoy romping with their dogs at the beach. 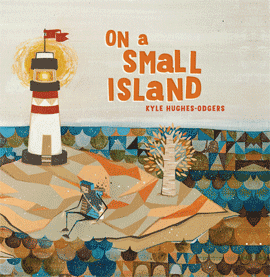 On a Small Island, Kyle Hughes-Odgers (author / illustrator), Fremantle Press, 2014. ‘On a small island, in a gigantic sea, lives Ari.’ Ari lives alone, collecting objects and watching the large ships pass by. One day a captain visits and tells Ari of the wonderful and intriguing people, buildings and exceptional artefacts of a great land on the horizon. Ari longs for a place like this and feels alone on his island. Until he has a brilliant, creative idea which eventually attracts the footsteps of many, and he is finally able to appreciate his surroundings and frequenting company. Exotic, Mediterranean-style paintings, packed with mosaics, pattern and texture, artist and author Kyle Hughes-Odgers has created a magnificent flowing story exploring isolation, friendship, creativity and recycling that is both sophisticated and unique. With a few more weeks of Summer school holidays left, there’s plenty of time to head outdoors and enjoy the sunshine with your little ones (and furry ones, too!). Then find a cool, shady spot like Coco the cat for some relaxing summertime reading! And for some fun teaching and learning activities related to the Summer theme, head to www.pinterest.com/mylilstorycrner. The winners of the Qld Literary Awards and the PM Literary Awards are being announced on the same evening – Monday 8th December. You can follow the PM announcements live at ‪#PMLitAwards or tune into ‪@APAC_ch648 at 7:15pm ‪http://on.fb.me/1pPELkt . It is fantastic that both these awards exist. They include outstanding Australian books and their shortlists promote these titles as well as our valuable book industry. Their prize money is very different, with the PM winners receiving $80,000 each and the shortlisted authors receiving $5,000 – the amount the winners of the QLA receive. These two awards also have some shortlisted books in common (keep in mind that the awards have different eligible voting periods, causing some books to be shortlisted in different years). There are no overlaps in the non-fiction and poetry categories, with strong, diverse contenders in both. There is no shortlist for this category; the winner of the award will be announced at the Awards Ceremony on Monday 8 December. 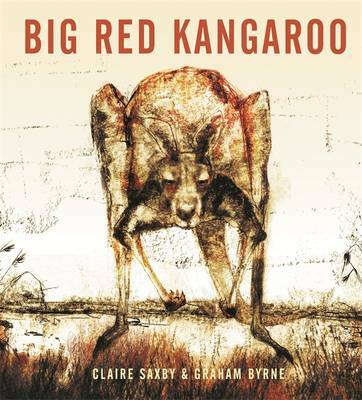 As it turned out, our top books are a combination of novels and illustrated works; from Qld, national, established and emerging creators; and include a non-fiction book, The Big Red Kangaroo, which is also a work of art. Staff from the State Library of Queensland (also the venue hub of the BWF) have taken over the administration of the QLA awards for the first time this year and have done a brilliant job. The awards had been coordinated by an extraordinary committee of volunteers for the past few years since the Qld Premier’s Literary Awards were axed by Campbell Newman’s government. The SLQ has also sponsored the poetry award and some Qld Universities such as the University of Queensland, Griffith University and the University of Southern Queensland, have also stepped in to sponsor awards. Enormous thanks to them all. Congratulations to all of the shortlisted authors and to the winners of both these awards. We will know the outcome soon! In his youth, my shaggy-coated border collie had a fondness for rolling in guano, preferably just after bath time. The maturity and inability age brings to pursue such endearing past-times means I have not had to deal with that glorious dead-fish-wet-dog-poo smell for some years – until now. 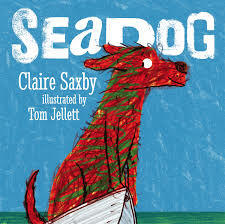 Thanks to the jolly new picture book Seadog, by Claire Saxby and Tom Jellet, there’s a new canine character in my life. And I love him. Who couldn’t adore the larger than life, guiltless, messy charm of this floppy-eared mutt? There are many things Seadog is not. He is not a clean, shiny dog. He is not a trick dog or a fetch dog. But his devotion to his young family and all things maritime knows no bounds. Even if he is permanently on the nose, wilfully disobedient and partial to rolling in piles of rotten fish, Seadog embodies the immense spirit of the sea with an unparalleled verve for life, and terrifying seagulls. His devil-may-care personality races across each page and through the briny waves until he develops some serious grooming issues. But Seadogs ‘don’t like baths’ either. From the navel flag bedecked end pages (which I took some minutes to try to translate hoping for a secret message there in – a la SEADOG!) to Claire Saxby’s easy verse-style text that reads like a rousing sea shanty, Seadog is a boisterous, enchanting read about a dog with more heart than the largest ocean and infinitely more appeal than a pile of rotten fish. In your face fun for pre-schoolers and beginner readers. Andy Griffiths will officially launch Seadog at the Williamstown Literary Festival on June 2nd at 2.00pm. All are welcome to join Claire Saxby, however energetic canines unfortunately cannot attend! I love all the genres! No, I guess that’s not answering the questions. I love picture books because they are the starting point for new readers. They are designed for sharing and they give the opportunity for so much discovery in and beyond language. I love The Very Hungry Caterpillar by Eric Carle because it is ageless, and combines fiction and non fiction in such a beautiful way. Another favourite are the Hairy MacClary books by Lynley Dodd. I love the language and the illustrations. Perhaps that’s why I don’t mind that Hairy MacClary is one of my nicknames … hmm … not sure I should own that in public! Oh, that’s always a hard question. I read so many. Outstanding favourites though? A large and very heavy collection of fairy tales that I returned and returned to. I loved Heidi. I also loved adventure books. I remember a series where a boy and a girl were the main characters in a series of adventures: in jungles and a range of other settings. I wish I could remember the name of them. Twists and turns, page-turning action. A current YA contender is The Hunger Games series. Not for really young readers, but a fast paced action story with plenty of issues for discussion. I think it would be a great series to discuss in an English class. So many themes, wrapped in a commercial fiction package. Let them choose what they want to read. Nup, that’s too hard. There are plenty of books both recent and less so that I’ve loved for different reasons, but I don’t wish I’d written them. I’m just glad someone did. Recent loves? Crow Country by Kate Constable, Graffiti Moon by Cath Crowley, Sally Murphy’s verse novels Pearl Verses the World and Toppling. Anything by Glenda Millard. Claire Saxby has been writing for children for about 15 years. She has been inspired by her own children, memories of childhood and by the children around her. She became an author because she loves playing with words. She will happily talk about books and writing with anyone who asks. Claire lives in Melbourne and loves it, despite what people say about the weather. Her latest books are The Carrum Sailing Club (Windy Hollow Books), and There Was an Old Sailor (Walker Books). 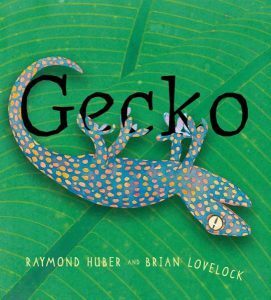 I love picture book biographies because they breathe life into stories about real people for young people. I recently picked about two beauties; A Nation’s Hope – The Story of Boxing Legend Joe Louis. The artwork by Caldecott winner Kadir Nelson is exquisite. And My Hands Sing the Blues – Romare Bearden’s Childhood Journey. Illustrated by Elizabeth Zunon, she honours Bearden’s work by creating the art in collage. Every Beatrix Potter Peter Rabbit book. Love that Peter was nearly as naughty as me. Frané Lessac joins the National Year of Reading 2012 initiative as a State Ambassador for Western Australia. She’s the Illustrator Liaison for the Society of Children’s Book Writers and Illustrators for Australia West. In 2010, Frané was awarded The Muriel Barwell Award for Distinguished Service to Children’s Literature. She constantly visits schools, libraries and festivals sharing the process of writing and illustrating books, empowering both children and adults. Her latest book is The Greatest Liar on Earth – A True Story by Walker Books. Authors need to promote their books! A few weeks ago, at a meeting of the Victorian branch of the Society of Children’s Book Writers and Illustrators, a panel of writers (Pauline Luke, Edel Wignell and myself) discussed the topic of promotion. What was evident from the discussion, is that different writers promote in different ways. Some have embraced social media and all forms of electronic promotion, others prefer to stick to more traditional forms such as signings and appearances. Some, like myself, have become promotional sluts, grabbing every conceivable opportunity. But the one thing that everyone agreed on, is how important promotion is to an author’s career. Sometimes I think I have this disease called ‘writing’ and no matter what else is going on in my life, I can still get lost in words, words that talk to one another. A review in Bookseller and Publisher last year said, ‘Corinne Fenton has established a reputation for writing beautiful picture-book histories of animals whose lives have become legendary.’ I hope to keep doing that forever. My next favourite thing is speaking to children and adults about the writing and research behind my books at schools, libraries and bookshops. I have a website, a blog and I use twitter. “Angsty, wacky, thoughtful and with a lovely sense of black humour” are words that have been used to describe the stories of Bren MacDibble. She has had ten books for children published as well as lots of short stories for all ages. She likes to write accessible science fiction and finds no end to the new and unusual story ideas offered by futuristic themes. Bren’s a Clarion graduate and her passion is YA novels. Thanks to many fine writerly affiliations, Bren’s creativity thrives in Melbourne. You can find her on twitter or visit her website. To date, my books have all been for the education market. The publishers promote those, so I tend to promote myself. I focus on the www — it’s relatively quick, it’s global, and it’s free. In addition to my own website, I keep author pages on Goodreads, JacketFlap, AuthorsDen, Amazon and LinkedIn. The Australian Society of Authors and Society of Children’s Book Writers and Illustrators feature links to my website. Also, whenever I write articles for parents’ or children’s magazines, or my column for the children’s literacy e-mag, Bug News, my web address appears in the byline. I write fiction, non-fiction and poetry for children. My most recent picture book is There Was an Old Sailor, illustrated by Cassandra Allen (Walker Books Australia). I also write for education publishers and have written for Hardie Grant Egmont’s Go Girl! series. Visit my website for more details. Book promotion is an integral part of my writing and can take many forms. Bookshop and school visits are probably my most common activities, but online promotion is increasing. Websites, blogs, virtual booktours all help to promote my books and me as a writer. As a writer I feel it is important to promote yourself. However there is a fine line between having a quiet presence and blatant self-promotion. I have a website that has been set up so I can maintain it myself. This is important. I don’t want to have to wait for my web designer. I have a blog page on my website and write posts fairly regularly. And I have two Facebook pages – one personal, the other public. I’m also on Twitter but I don’t use it as much as FB. All are linked to my website. So there you have it… a little bit of insight into the promotional activities of five Australian authors. If there are any other authors out there reading this post, feel free to leave a comment with a link to your website, blog or Twitter account. 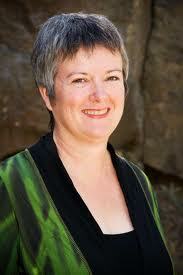 Tune in next time for an interview with bestselling fantasy author Trudi Canavan. PS. Follow me on Twitter… or I’ll promote at ya. When I was a kid, one of my all time favourite songs was There Was an Old Woman Who Swallowed a Fly. Who wouldn’t be mesmerised by a tale where someone actually swallows a horse? In recent years The Old Woman’s story has been making a bit of a comeback, but in slightly different forms. There are now a number of great pictures books around with variations on this theme. Last year, Walker Books released There Was an Old Sailor, written by Claire Saxby and illustrated by Cassandra Allen. Claire and Cassandra’s book is a nautical take on the much-loved “Old Woman” rhyme, which not only makes it hilarious, but also gives it plenty of relevance in the classroom. The Old Sailor devours a wide variety of sea creatures in ever increasing size and hilarity. The rollicking text is complimented by beautiful illustrations – each page is a masterpiece. Kids will love the incongruity of this story, as well the surprise ending. There Was an Old Sailor is also a great tool for teachers wanting to talk about who and what lives in the sea. And there are fishy facts at the back of the book for readers to enjoy. 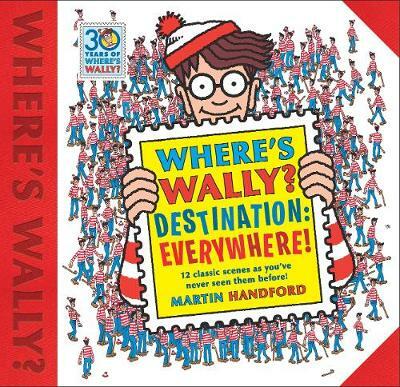 Just this month, a new book on this theme was released from Scholastic. There Was An Old Bloke Who Swallowed A Chook is from P.Crumble and Louis Shea, the team who created the popular There Was An Old Lady Who Swallowed A Mozzie. This book is an hilarious take on the classic nonsense “Old Woman” rhyme. Here’s another bloke with a bottomless belly, but this one isn’t partial to sea creatures. His particular favourites are Australian animals so before the story ends, readers see a wombat, galah, possum, goanna and of course a chook swallowed by the old bloke with the insatiable appetite. If you want to find out where his eating frenzy ends, you’ll have to read the book. As well as the hilarious text, I loved the colourful illustrations in There Was An Old Bloke Who Swallowed A Chook. From the sight of the old bloke sitting on the power lines with the galahs to the improbable ending; the illustrations are graphic without being gruesome, and are very funny. This week we’re having a picture book fest at Kids’ Book Capers – we’re taking time to celebrate some great Australian picturebBooks and their creators. Unfortunately, in a single week we can only cover a small selection of wonderful Australian picture books, but we’ll be delving into the minds, the lives and the inspirations of three popular picture book authors. One of the things I liked most about podiatry was the stories people shared. Today, Claire is talking to us about her latest picture book, There Was an Old Sailor, a seafaring version of the rhyme, ‘There Was an Old Lady who swallowed a fly”. The Old Sailor eats some seriously unpalatable seafood, but the nonsensical text and Cassandra Allen’s wonderful illustrations are bound to get young readers giggling. Claire was inspired to write There Was an Old Sailor by a storyteller friend who bemoaned the lack of ocean-based cumulative stories and said someone should write one. So Claire thought she’d have a go! Kids like There Was an Old Sailor because it’s absurd! They enjoy the rhythm and repetition and generally are joining in the refrains by about half way through the book. Cassandra Allen’s illustrations paint the Old Sailor with wonderful laughing eyes, a ‘robust’ frame and Popeye forearms. He’s substantial but never frightening. There’s nothing to dislike about him really, although perhaps he’s a tad greedy. It’s no wonder that There Was an Old Sailor is proving to be very popular. The language and absurdity give it child appeal, it’s easy and fun for parents to read and it provides opportunities for teachers to talk about the ocean, food chains, fantastic fiction and more. Claire says she really enjoyed thinking of crazy things for the Old Sailor to do. The hardest thing was getting the rhyme and rhythm right, so that it could be read for the first time with ease. It took time and redraft after redraft to get it right. I asked Claire if she had any consistent themes/symbols/locations in her writing. I hadn’t been conscious of it, but ocean or water feature strongly in many of my stories. Actually in my non fiction too. I grew up by the sea and holidayed by the sea. Many of my stories are in or around water. Themes? I don’t consciously write to a theme. Sometimes I’ll identify the theme and strengthen the story around it, but that comes in the redrafting, not in the original drafts. Claire has had more than 30 books published and There Was an Old Sailor is her fourth picture book. Her other picture books are Ebi’s Boat, Sheep, Goat and the Creaking Gate and A Nest For Kora. On Wednesday, we’re talking to Queensland author, Trudie Trewin, author of I’ve Lost My Kisses and Wibbly Wobbly Street. Today, the old sailor from Claire Saxby and Cassandra Allen’s lively new picture book, There Was An Old Sailor is visiting Kid’s Book Capers. Old Sailor, in this book you swallowed a krill. Eww! What made you do that? It leapt into my hand. What are the chances? It caught in my fingers. What else could I do? I ate it. Sounds a bit fishy to me. Did swallowing the krill make you ill? Not exactly, just left me with an unfinished feeling, that sort of ‘mmm that was tasty, but what else is there’ sort of feeling? I know what you mean. I’m like that with chocolate. Where/how did you first meet author Claire Saxby? On a pier, planning my next voyage. She was planning her next book. There was an immediate connection. Why did Claire decide to tell your story? I guess girls are attracted to a man of mystery like me. Off the record, I think she might be clairvoyant. She seemed to always know what would happen next. 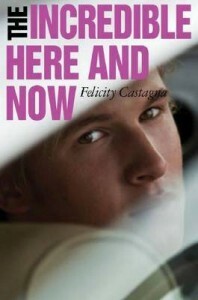 Do you really look like your picture in Claire and Cassandra’s book or has Cassandra deliberately made you younger and handsomer to disguise your identity? Oh, no. I really am that gorgeous. Don’t you love my forearms? Strong as a whale I am. Cassandra captured my eyes exactly. I look just like this. Don’t you want to hug me? Umm…moving right along…what does it feel like to swallow a shark? Rough-skinned critters, but worth it in the end. Cleaned off a few barnacles as it went down. Gulp! Would you recommend swallowing sharks to others? Don’t often get the chance to talk to anyone else – except the birds. Had a pet penguin once, but he didn’t talk much. Sorry, I digress. Would I recommend eating a shark? Heck yes! 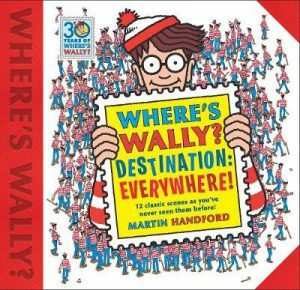 How does it feel to have a book made about you? Great! Posing for the pictures for Cassandra Allen wore me out, though. The jelly kept wriggling. The seal wanted a kiss. And the shark? Well, we’ve talked enough about the shark. I look for the book in every port. Briny barnacles, I’m proud of my story. So you should be. It’s a great story. You’ve really got me hooked. Thanks for visiting us today old sailor. Bon Voyage. Please note that no creatures were harmed in conducting this interview.